Nothing revs the collective Young Winos engine like a good blind tasting. In the past, though, the “prize” has typically been a mention on the site and a week or so worth of bragging rights. That all changes on Wednesday, October 1st, when the Winos return to Vendome, Studio City, for a tasting co-presented by wine & dineLA in honor of California Wine Month (more info on the DineLA website). 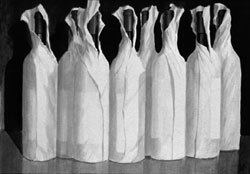 The blind tasting lineup will include nine anonymous wines — four whites, a rosé, and four reds — each with five multiple-choice options. Points will be tallied as the event progresses, and the Wino who guesses the most bottles correctly will win a dinner for two at Citrus at Social, valued at $200, donated by wine & dineLA! The blind tasting costs $20 per person, and is open only to members of the Young Winos network. To purchase your tickets now, click here. Space is limited to 25 Winos, so act fast!